LIVE TO LOVE. FIGHT FOR PEOPLE. clean water and their own farms. A champion Greco-Roman wrestler, Justin's life changed when he traveled to Congo to help the Pygmies. This ethnic group, indigenous to Africa, is preyed upon by armed rebels, being killed, raped and even eaten. Having fought for himself as an MMA fighter for his entire life, Justin urges us to use the tools around us to fight for the forgotten. Today Justin “The Big Pygmy” Wren has expanded his Fight for the Forgotten to empower all those who don’t have a voice. He regularly speaks to raise awareness for those affected by the water crisis, as well as those who are bullied, and those suffering from depression and addiction. After winning two national championships as a high school athlete and training at the U.S. Olympic Education Center at Northern Michigan University, Justin started his MMA career. 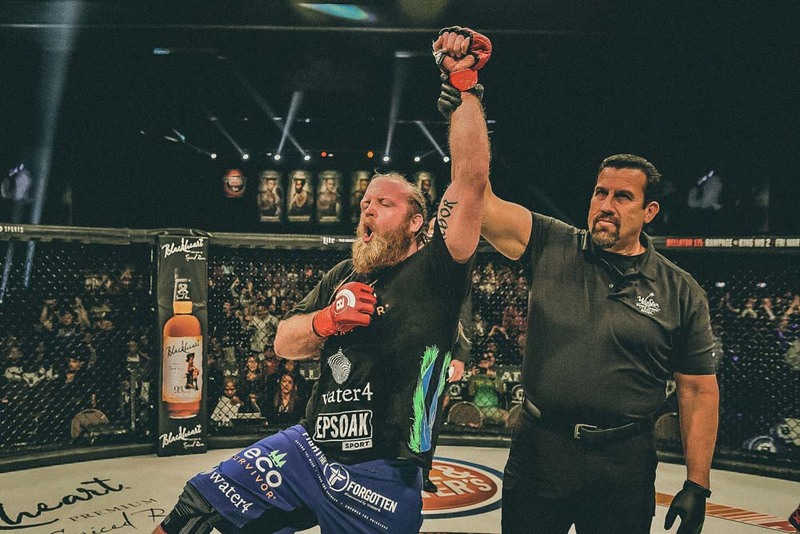 From the Spike reality show “The Ultimate Fighter” to his current MMA heavyweight record of 15 wins and 2 losses, Justin "The Big Pygmy" Wren has cemented his place as a successful mixed martial arts athlete. More than just fighting in the cage, today Justin uses his platform to fight for those around the world who otherwise wouldn’t have a voice.